So, the avocado is my latest obsession. I love them! I thought today I would gather up over 25 avocado recipes for you as well. You can browse the recipes below and get hooked on avocados with me. I might have to buy stock….is there such a thing as stock in avocados? Be sure to pick a few of these to make especially if you are not in love with avocados yet. Because you soon will be! Click on each of the recipes below and it will open in a new tab on your computer. From there, you can pin or bookmark those that you want to try later. Y’all enjoy! Avocado Hummus Recipe – healthy and delicious! Okay, I am off to the store. 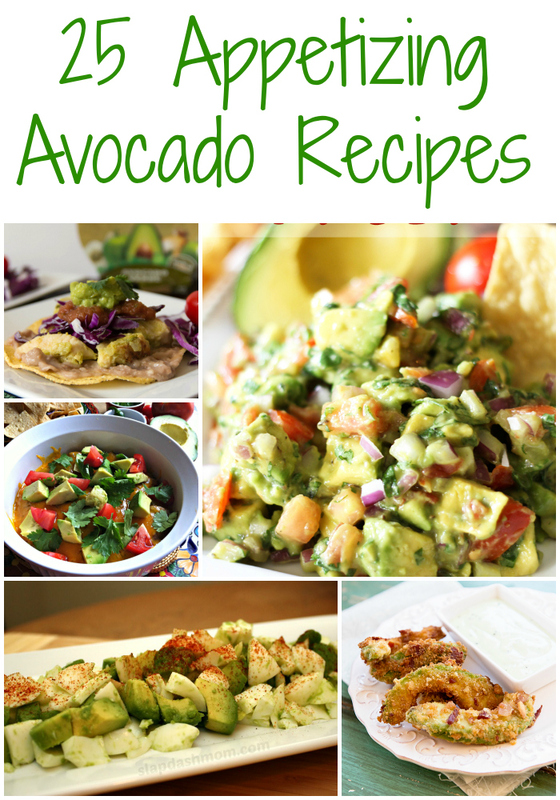 More avocados are needed to make these amazing avocado recipes! Do you have that you might add to the list? Did you have any idea that you could make things like brownies from avocados? I guess they really are super versatile! I say let’s eat avocados at every meal. A bit overboard? Mmmm…maybe but maybe not! Give these avocado recipes a try and you will soon be hooked. Thanks for including my strawberry avocado toast!! I feel like I just hit the jackpot. I love avocado. Pinning to hopefully make some of these recipes this summer. Thanks for the recipes. We have two huge avocado trees so I’m always looking for something new to try.